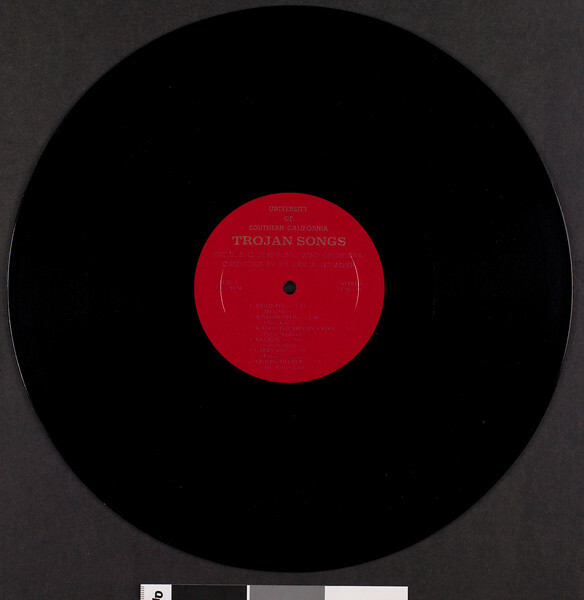 University of Southern California Trojan songs, 1969?. University of Southern California Wind Orchestra, William A. Schaefer, conductor. Music only, no words. Contents: Fight on -- Song of Troy -- Watch the Trojans roll -- S.C. klaxon song -- Trojan medley -- Carry on -- All hail (Alma mater) -- The cardinal and gold -- Marching song -- Conquest -- America the beautiful -- Star spangled banner.